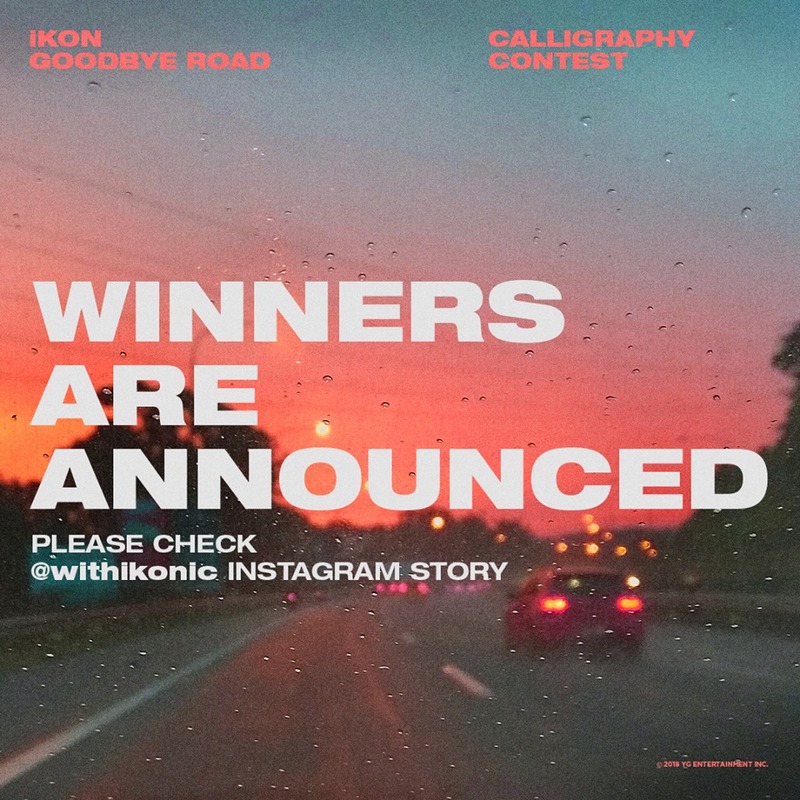 아이콘 공식 인스타그램 (@withikonic) 스토리를 통해 확인하세요! 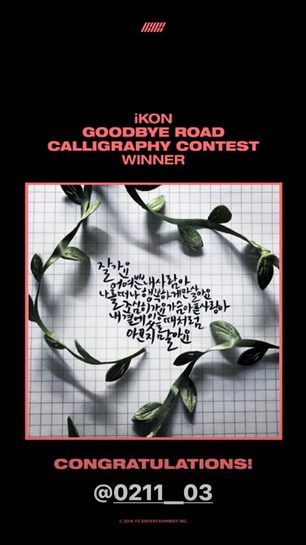 참여해주신 모든 분들께 다시 한번 감사드립니다! 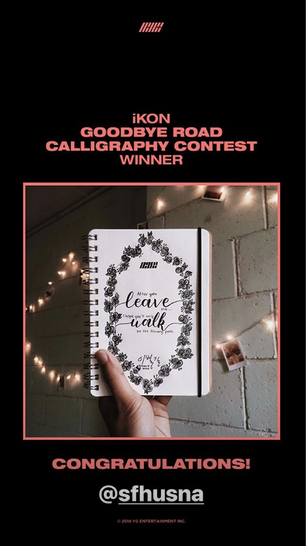 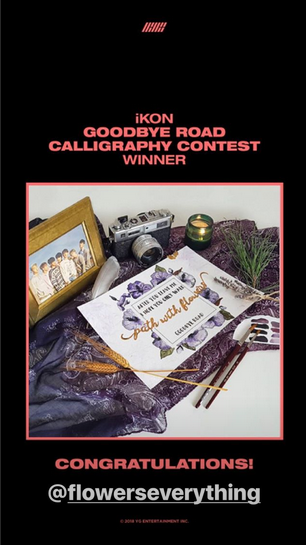 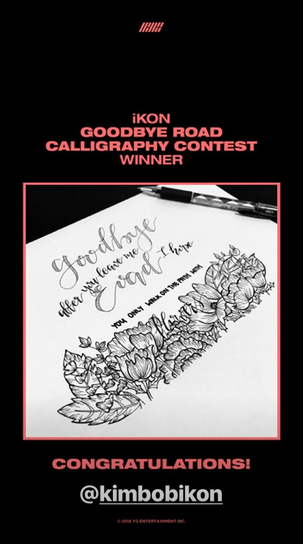 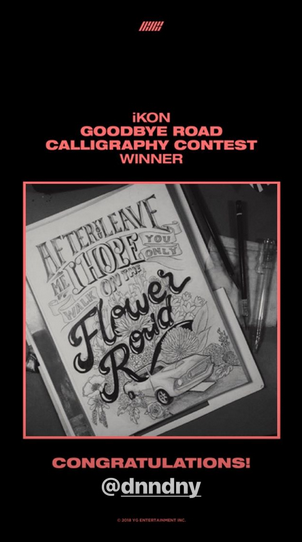 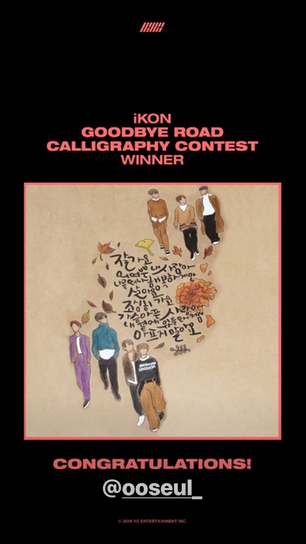 Check out the iKON 'GOODBYE ROAD' CALLIGRAPHY CONTEST winners on iKON’s official Instagram account (@withikonic) story. 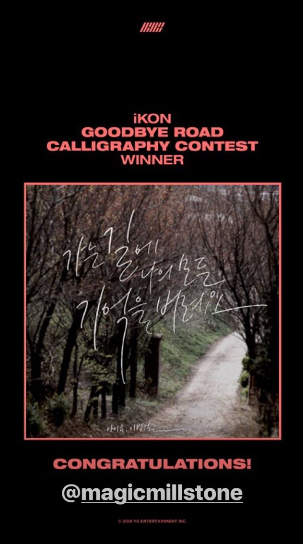 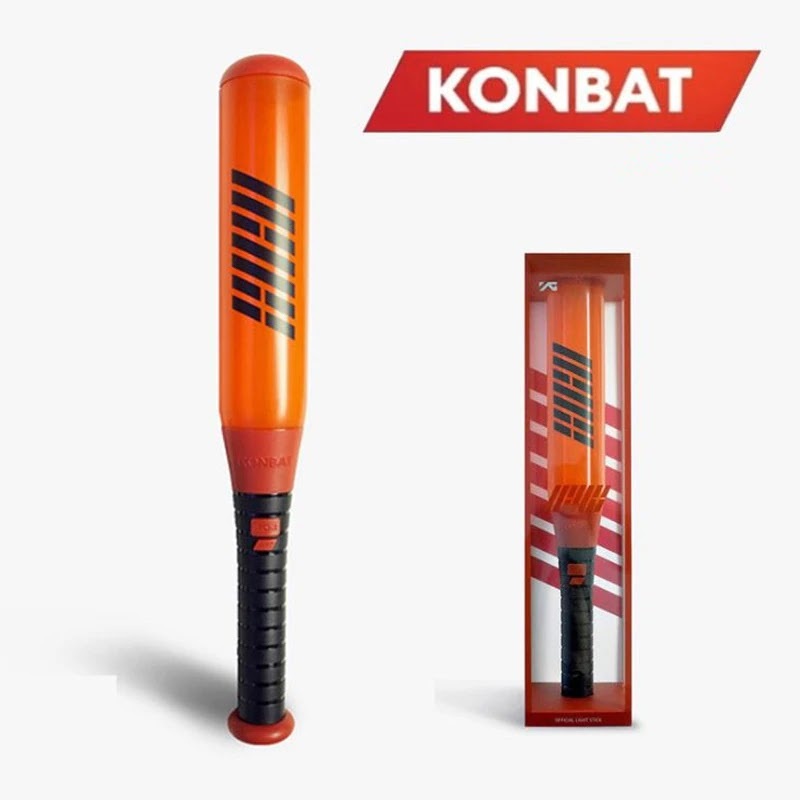 0 Response to "iKON 'GOODBYE ROAD' CALLIGRAPHY CONTEST WINNER ANNOUNCEMENT"